The curator Dimitris Eipidis welcomed the invited viewers and introduced the film and cultural events through the city. Under Eipidis direction the festival has changed quite a bit in the past five years. High-profile Hollywood actors, like John Malkovich and Willem Dafoe belong to the past times. The curator himself says that the festival aims to reach a different audience. This audience is primarily younger and more interested in independent and alternative films. The program of the festival is consequently built on this idea. Many independent productions, often concerning current political issues are to be featured in the next ten days. 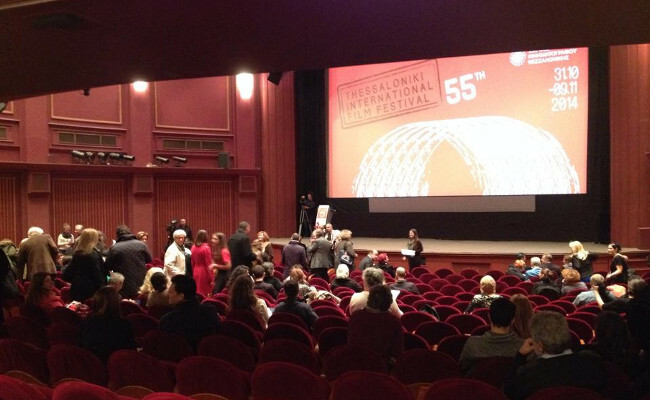 The screening took place in front of invited guests, who left amazed the hall in “Olympion”. Not even the rainy weather was able to spoil the movie lovers’ good mood, who attended in large number the opening party, which took place in a warehouse at the harbour.